Benbatl’s trainer Saeed bin Suroor admitted his charge had simply been beaten by the better horse after super mare Winx won a record fourth Cox Plate at Moonee Valley in Australia on Saturday. Chris Waller’s seven-year-old claimed the Group One heat for the last three years, putting her level with Kingston Town who also won three renewals between 1980 and 1982. 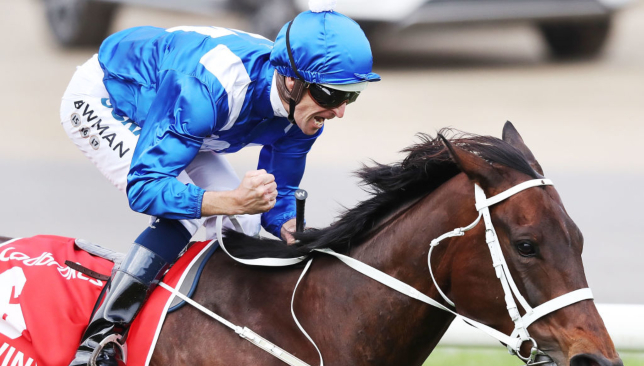 However, Winx surpassed that mark and now stands alone after swooping past Godolphin challenger Benbatl in the final of 10 furlongs to gain a comfortable success in the hands of Hugh Bowman. Winx’s victory also takes her unbeaten run to 29 races, stretching back to April 2015. After his valiant challenge Benbatl will now return to Dubai, where Bin Suroor plans to discuss plans for the future with His Highness Sheikh Mohammed bin Rashid Al Maktoum. 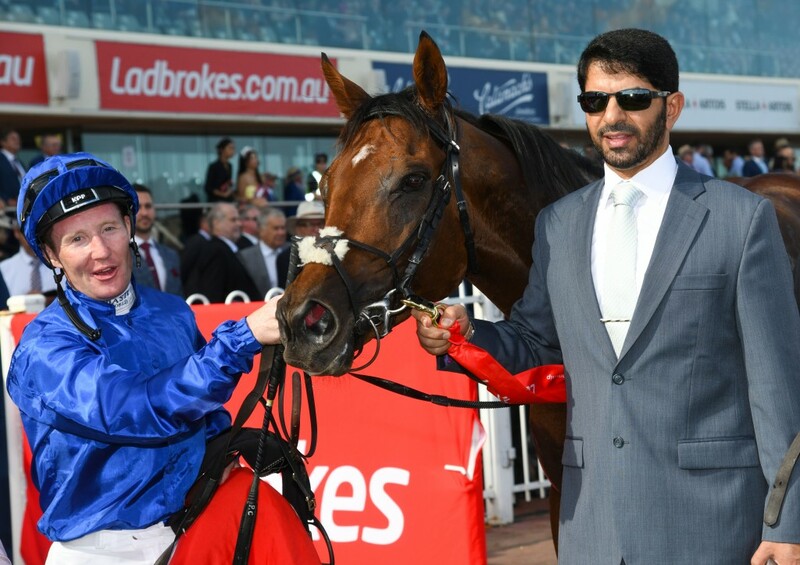 Bin Suroor said: “(Winx) is a superstar – the best of the best. I’m very happy for her owners, trainer and jockey. It was a great race, we took our chance but our horse was beaten by a better filly. “(Benbatl) ran well, but she’s something special. Winx was settled on the heels of the early leaders, with both Benbatl and Aidan O’Brien’s runner Rostropovich also racing to the fore, with the latter the first to make his bid for home under Ryan Moore. Oisin Murphy had the move covered on Benbatl though, but Winx was cruising round the turn, racing widest of all, and when Bowman gave the signal, she shot clear before being eased down on the line. Benbatl stuck on for second with Humidor third, but Winx was a decisive scorer. Bowman told Racing.com: “I can’t believe it. I really thought in the build up to the race I would get quite emotional, I am feeling emotional but the electricity that came through my body when I turned into the home straight just then was something I guess I only get to feel. “Everyone watching gets so much joy and pleasure out of the superb ability of this wonderful horse. The fact she’s been able to do it so many times consecutively just speaks volumes for the management of her. “I really felt (the pressure) this week, more than I have before. On Thursday I rang a few close mates to have a bit of a chat, I just try to do things to keep my mind occupied. Waller said: “Going past the straight the first time, I was a bit concerned she was three wide, but it all unfolded very well. She got cover and the pace wasn’t too strong. She only really performs under pressure, so that was my only concern. “To see her unleash as she does, I was looking for Humidor coming off the back and seeing how the others were travelling, but she had them covered a long way from home. “It’s indescribable. (My team) all do great jobs, particularly Winx. With the media and the fans, it’s just gone to a whole new level. We’re not trained to deal with it, but thanks to everybody. Part-owner Debbie Kepitis wept tears of joy following the result. She said: “It’s surreal really – four Cox Plates, how do you describe that? It’s never been done and this mighty mare, she raced so well. “Benbatl was there, we’ve beat the overseas horses and I thank them from the bottom of my heart for coming over. All eyes were on Winx at Moonee Valley as the mighty mare completed a 29th straight victory and fourth consecutive Cox Plate win. Godolphin’s Benbatl was seen as Winx’s main competitor ahead of the race and proved as much, leading at the turn until being overtaken on the final stretch. The victory sees Winx move ahead of Kingston Town as the most successful horse in Cox Plate history. Could the winning run of Australian Super Horse Winx finally be coming to an end? Aiming to increase her record streak to 29 in the Cox Plate at Moonee Valley, Melbourne, on Saturday the horse standing in her way, and the one many are picking to take the great filly down, is Godolphin’s own Benbatl. The four year old colt, the sire of Dubawi and dam Nahrain, may not be on anything like Winx’s running streak but his form is still quietly impressive. He won the Caulfield Stakes (G1), from stablemate Blair House, just two weeks ago and according to master trainer Saeed bin Suroor, the Cox Plate has been the goal all year, even before he streaked away to win the Dubai Turf (G1) at the Dubai World Cup carnival at the end of March. But can he beat Winx? “The filly (Winx), she’s a superstar,” bin Suroor said this week. “I have a lot respect for her and what she has done. She’s the best in Australian history. “But my horse is doing good, he’s improved a lot this year. I have a lot confidence. He’s a class horse. It’s clear bin Suroor is respectful of the mighty Winx but as we have come to learn from the canny Dubai born trainer, never ever write him off. Some pundits suggested he had forgotten how to train when he had a disappointing run in 2016-17, but this was more to do with horse allocation than skill as a trainer. But since he has been given more promising prospects after the departure of former CEO John Ferguson, his results have begun to turn. He still may not have the most fancied runners but they have a way of coming out on top. Take Thunder Snow at the Dubai World Cup. Before the race all the talk was about West Coast and North America, even Thunder Snow’s stablemate Talismanic. But come race time it was the four year old colt that took the lead coming into the home straight and could not be run down. 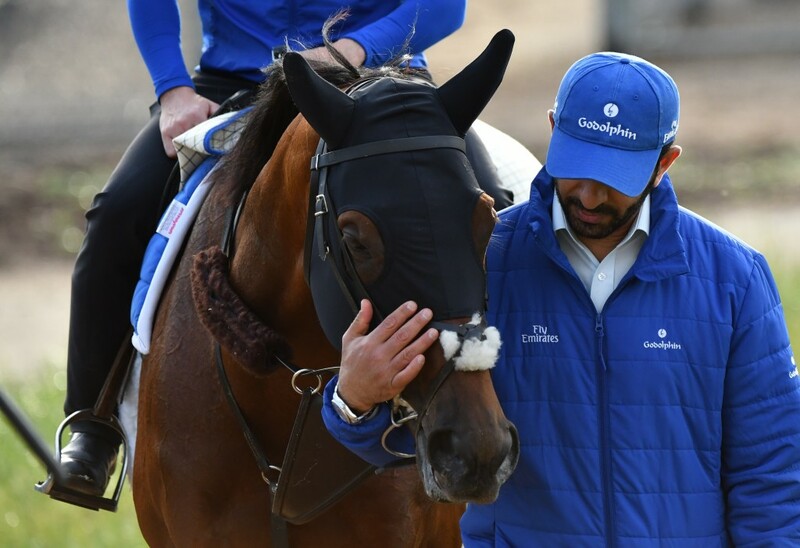 Bin Suroor knows his horses intimately, he knows what they can and can’t do and he also knows when they are ready to deliver. Benabtl, as he did back in March, is ready to deliver on Saturday. The other great quality about the Emirati horse whisperer is he doesn’t give up on horses. Many would have written Benbatl off after he struggled to finish fifth behind Wings of an Eagle in the Epsom Derby last year, ran over 2400 metres. But bin Suroor had faith. He reckoned the colt couldn’t stay so he switched him down to the 2000m Hampton Court Stakes at Royal Ascot less than three weeks later, and guess what – he won. Since then Benbatl has won five more G1 races, including the Caulfield Stakes, all over similar distances. But bin Suroor is not one to gloat and this brings into light another interesting clash on Saturday – the battle of the trainers: the restrained Godolphin man and the brash outspoken Chris Waller. The Sydney-based Kiwi has been firing shots off all-week, comparing Winx to the All Blacks, who came to visit her recently, and lashing out at an English pundit (Matt Chapman) who dared to suggest that Winx was beatable. “I’ve taken those comments in and I was very, very surprised and disappointed,” Waller said, before adding a very colourful anatomical description of Chapman. 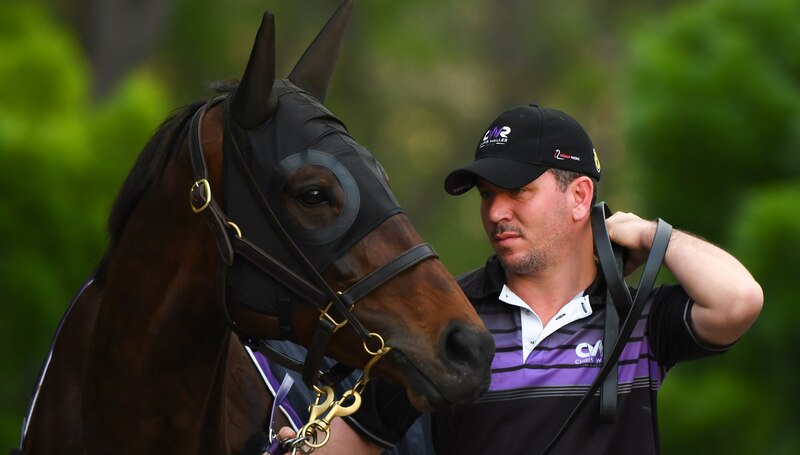 But does Waller have any respect for Benbatl or his stablemate, Avilius who has won four-from-four since coming under the stewardship of Godolphin’s head Australian trainer James Cummings? For Team Godolphin, Saturday’s race will be a very hostile experience – a reverse Dubai World Cup, where every runner wearing the famous blue silk is cheered on from the Royal Box to track side. 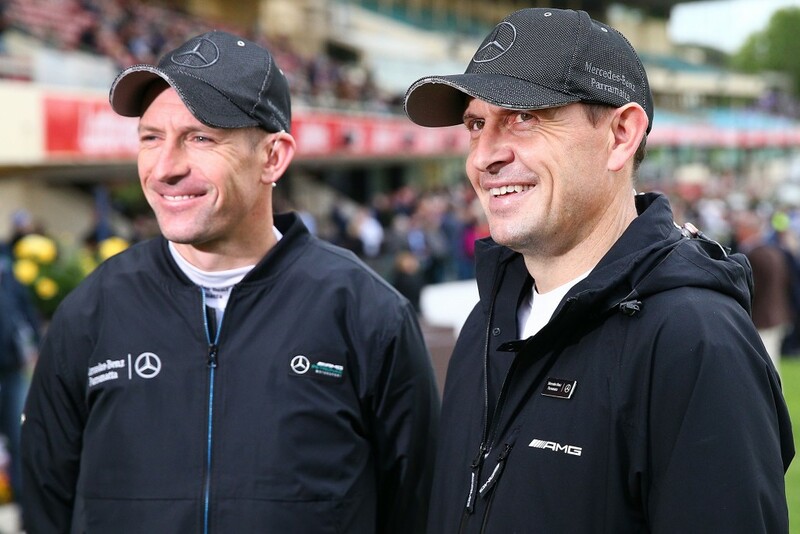 Winx is probably the most popular sporting icon in Australia at the moment and for Benbatl and Avilius, and their jockeys – Oisin Murphy and Glyn Schofield, it will feel like they are running against the whole nation. However it has been a glorious year for Godolphin both in Europe and Australia, with Best Solution winning the Caulfield Cup, Masar (trained by Appleby) winning the Epsom Derby and Blue Point taking out the King’s Stand Stakes at Royal Ascot. Just this week Godolphin was awarded the champion owner in Britain for the fourth consecutive year, amassing a staggering £4,498,707 (Dh21.3million) from 113 winners, including 26 Group 1 victories. The Super Horse might have just met her match in the Super Owner. There will be only one winner come race time Saturday.